A Trip to the Windy City that we’ll never forget. 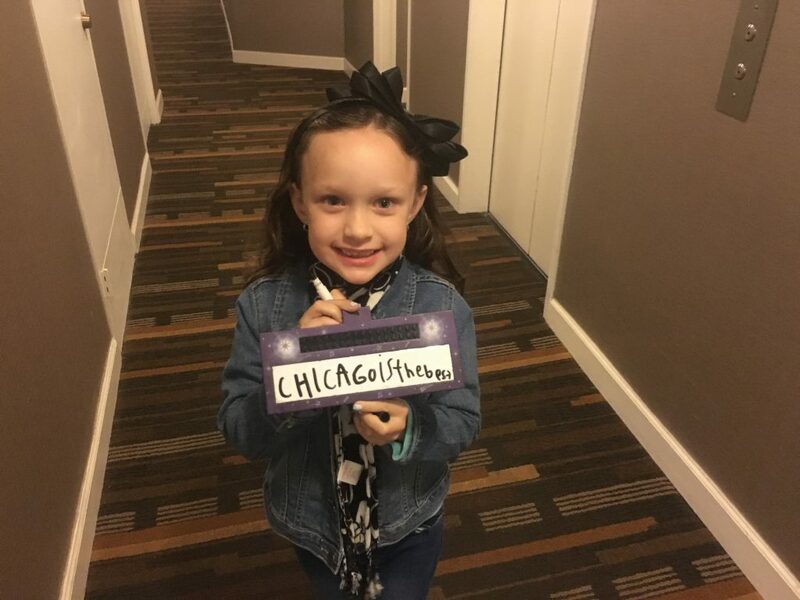 A few weeks ago, I got news that as part of the Homewood Suites by Hilton #TravelMANager and #DadTime campaign, they wanted me to take my daughter on a surprise trip to a city of my choice. 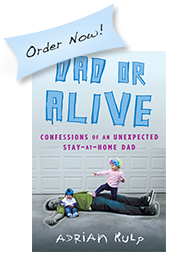 This isn’t a normal everyday occurrence and the last time Ava and I went away for a daddy-daughter trip was to Los Angeles a few years ago – but she’s almost seven now and this had the makings of a truly magical weekend. After talking it over with my wife and consulting with a six-year old (lol), we decided on CHICAGO. 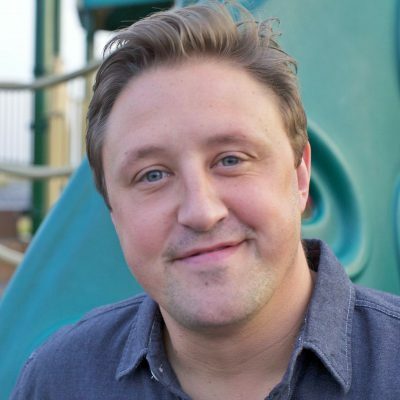 I’d only ever been to Chicago once (very briefly) for a few hours almost twenty years ago, as part of a layover on my Amtrak escape from the cornfields of rural Pennsylvania to the sunny shores of Southern California. I had no concept of the city, never studied a map and just wandered aimlessly writing in my journal. I was on a soul-searching voyage that took me to the Museum of Art, a bridge on the river and a nifty pub lakeside that had incredible French onion soup – which was more than enough for me to handle at the time. On a normal day, I spend my hours bouncing between three kids, trying to give each of them the special attention they deserve, but obviously the youngest always seem to need the most focus – so this was an opportunity to bond with my oldest and only daughter and it’s an experience that neither of us will ever forget. 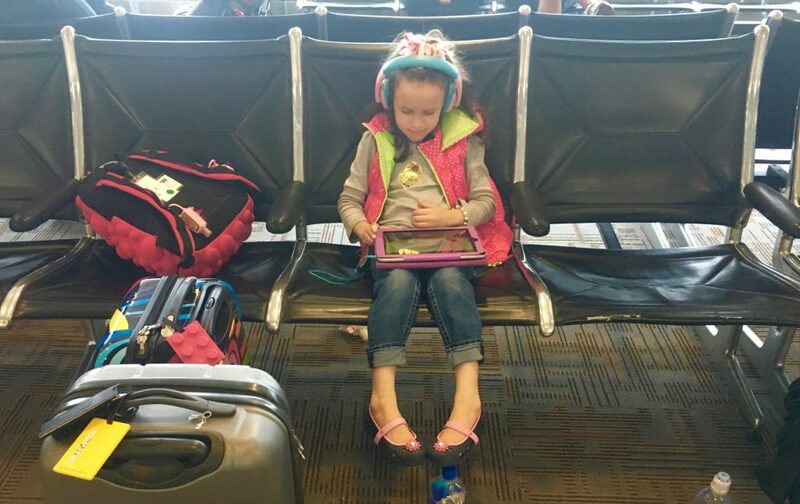 Jen helped Ava pack her suitcase full of surprises and inspire excitement by telling her everything about this city and where she was going while I focused on building the itinerary. On a rainy Friday morning, we hopped in the car and drove to Ronald Reagan International airport in D.C. I let Ava use the kiosk (she’s reading!) 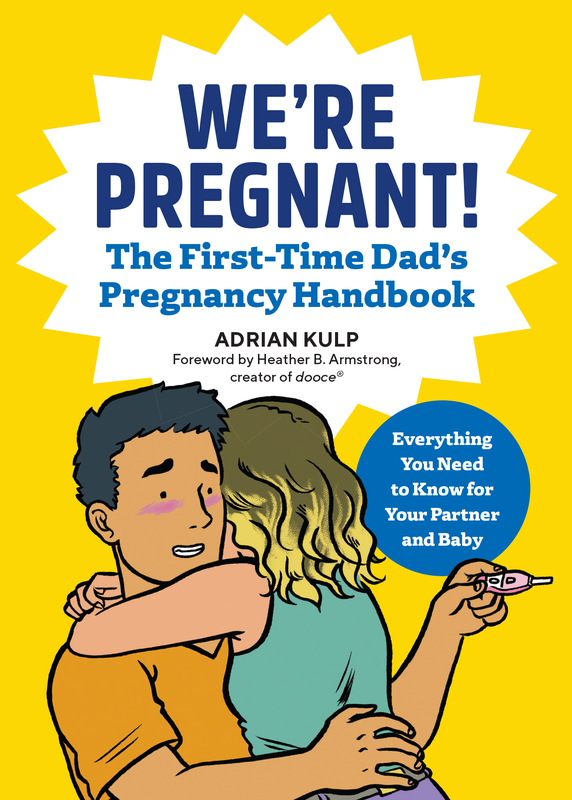 to check us in and I could feel the smiles from those around us as we walked through the airport, possibly a rare sight these days – a dad and his daughter hanging out, traveling together. Little Ava really seems grown up to me. 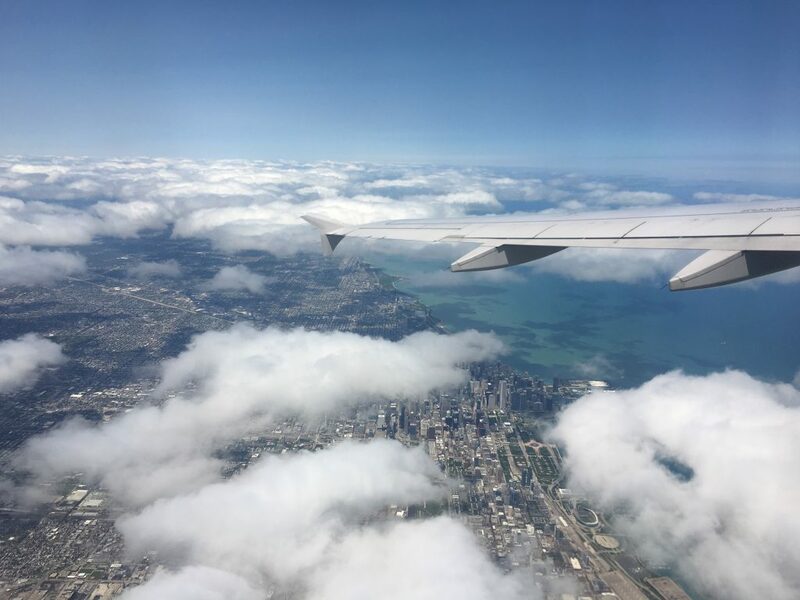 We had met the pilots of our flight at the gate and they were giving us the inside scoop on places to visit and eat in the windy city. After we landed in Illinois, they invited Ava into the cockpit and it’s one of those moments that she still talks about months later. 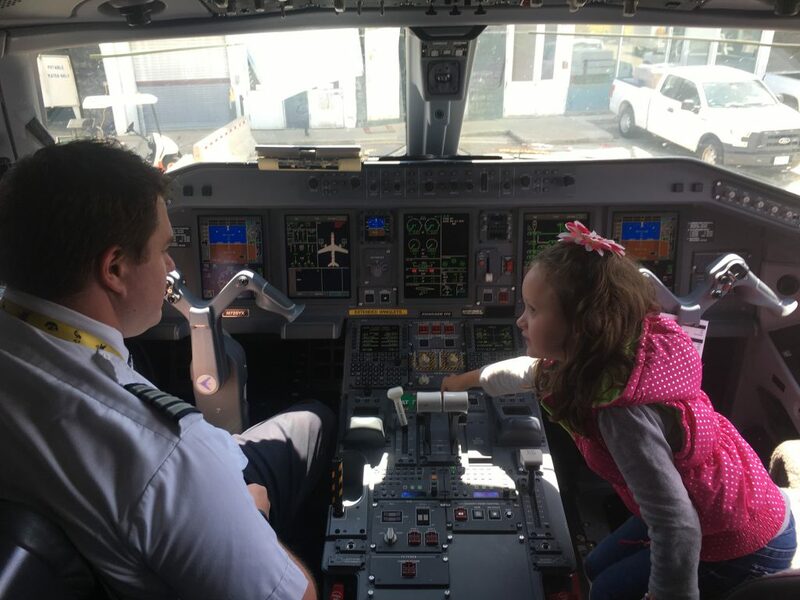 Ava gets a tutorial from our United pilot. She even got to press a few buttons. 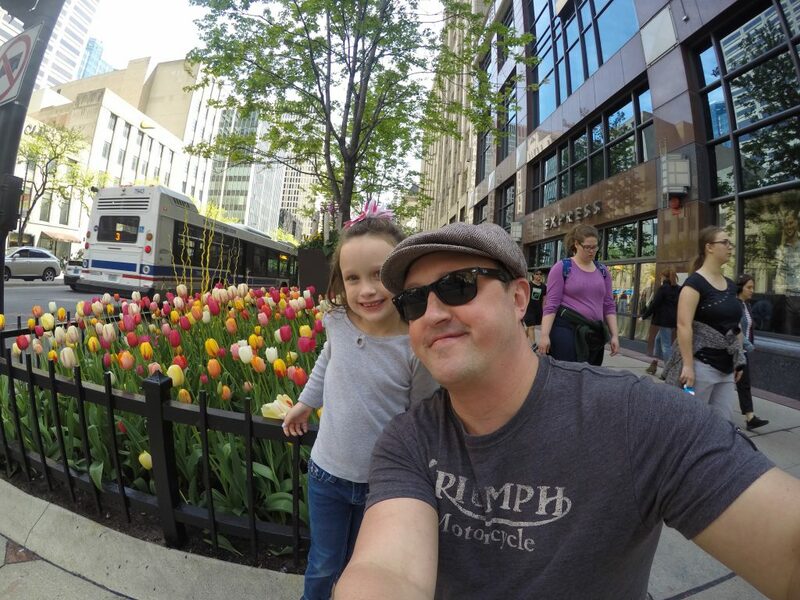 We checked into our suite at the Hilton, which boasts a full living room and kitchen set apart from the bedroom and decided to walk Michigan Ave.
A couple of blossoming tulips walking along the main drag. 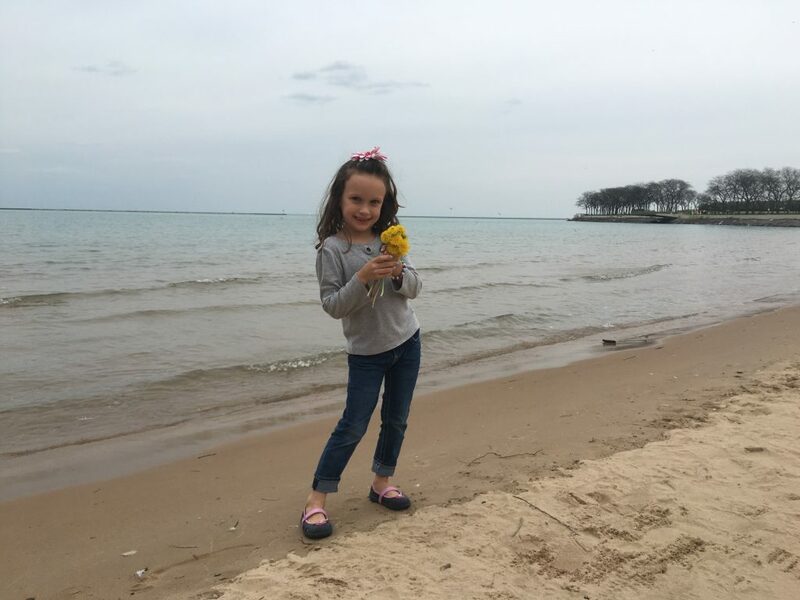 While headed towards Navy Pier, Ava saw the bright, shining banner of Dylan’s Candy Bar and what dad wouldn’t let his daughter indulge? 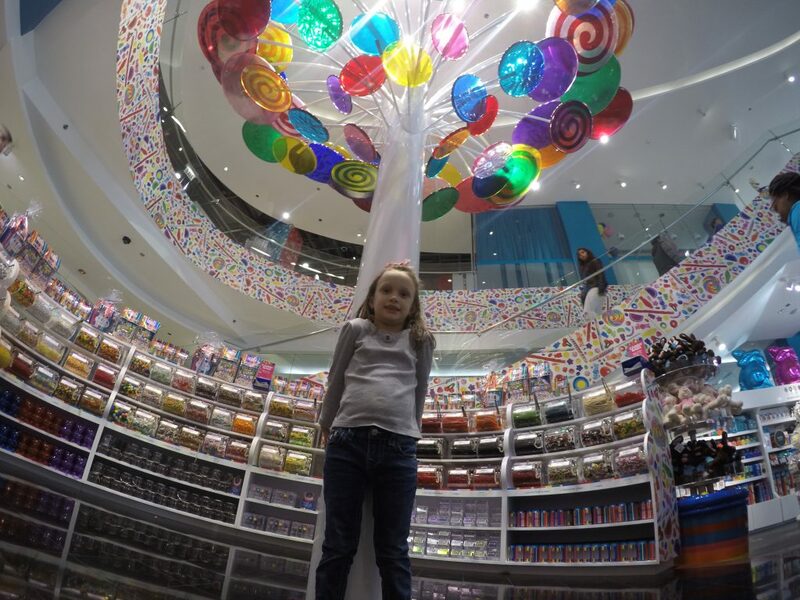 Dylan’s Candy Bar is a MUST SEE while visiting downtown Chicago. We ended up each getting our own candy glasses, filled to the brim with the sugary spoils. Ava and I with the best of the best. 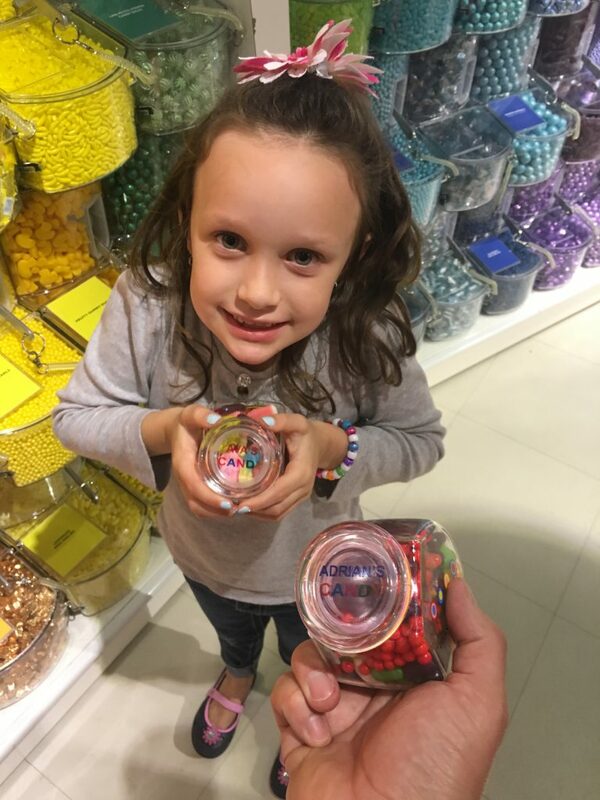 I’ll be honest, it was difficult removing her from Dylan’s and we parted with a Shopkin’s notebook, a few jars of candy and a Cubs Pez for dad – don’t tell anyone. 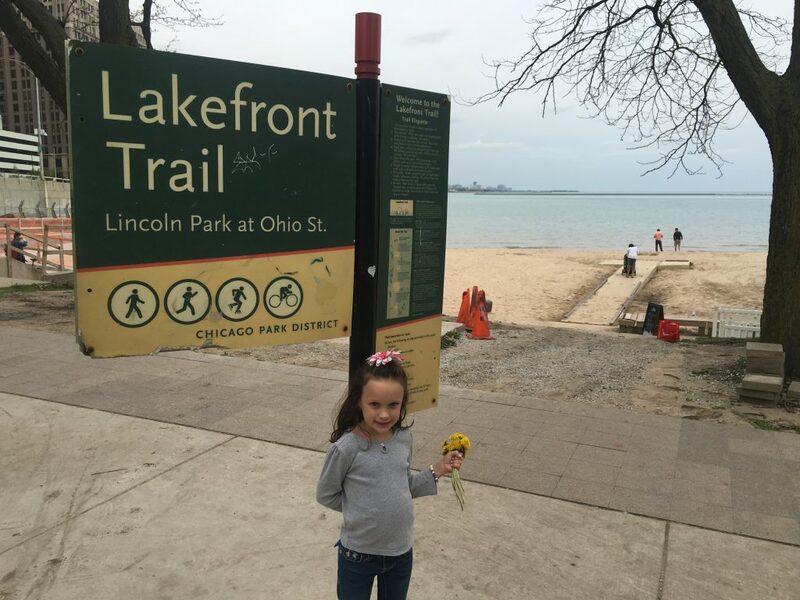 We moved down towards Navy Pier on the Lakefront Trail and we were excited to see Lake Michigan up close for the first time..
She picked flowers for mommy even though she realize they’d wilt within 20 minutes. Sweet thought for a little girl. We walked onto the beach, ran along the coastline and offered to take a picture of a group doing a trash pick-up. These shoes have seen the shores of Lake Michigan. The afternoon exhausted this dad and Ava was eager to get back to our room at Homewood Suites. High above Michigan Ave., Ava wanted to sleep on the pullout sofa instead of sharing a king with me – perhaps this is a sign of getting older? We sprawled out and enjoyed some snacks from the lobby, gearing up for a full day ahead come sunrise. Forget about this picture, she was clawing at the doors of the store when we arrived a few minute ahead of opening. 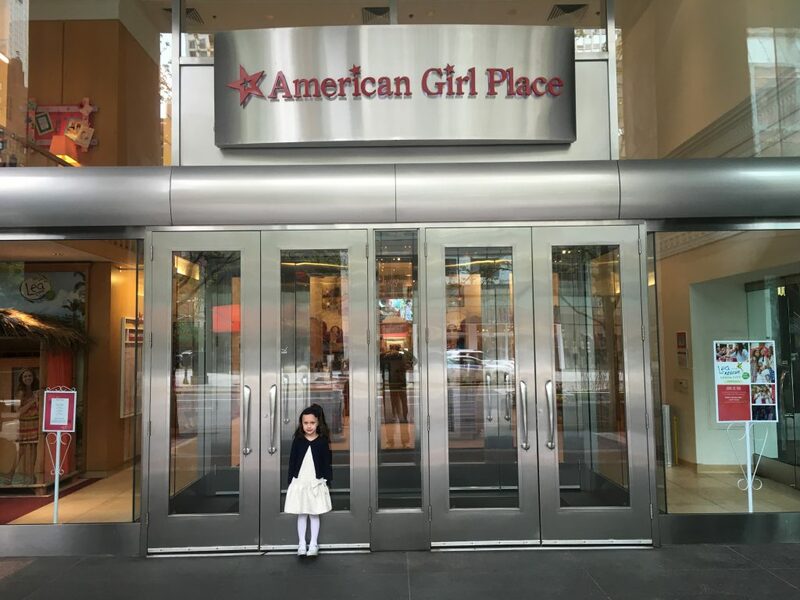 Saturday morning, we visited the sister flagship American Girl store. We both dressed up (I clearly didn’t pack enough fancy clothes) and (one of us) hit the store with a vengeance. 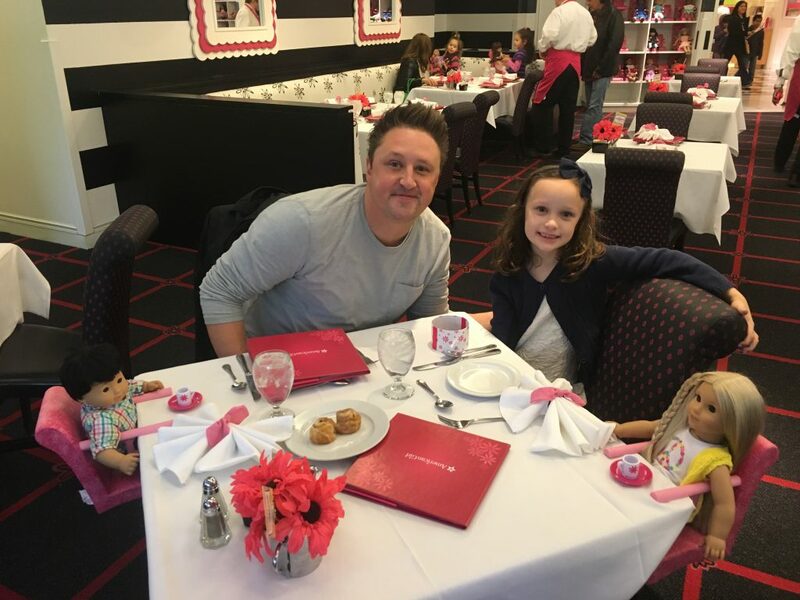 I thought it might be appropriate to let her pick out a doll and a few accessories and afterwards I made reservations for brunch. Our breakfast with friends – lol. Crossing one off the bucket list with my best friend. We loaded up on gear at Wrigleyville. I can’t put into words how special this moment was for us, getting to take the train from downtown to the field. We enjoyed crushing peanuts and cotton candy and brats. We sang ‘Take me out to the Ballgame’ – it’s a moment I won’t ever forget. A few rows behind home plate – enjoying the company. 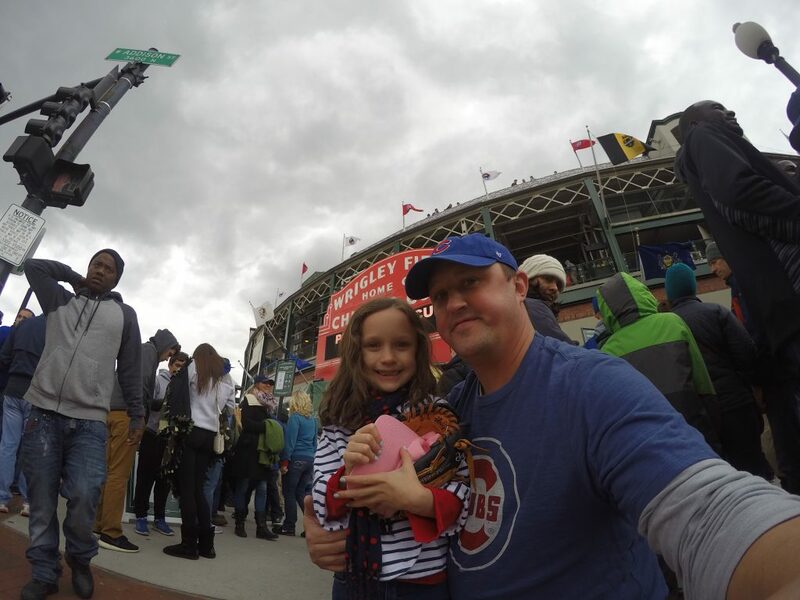 We watched a great game between the Cubbies and the Pirates and got to see Jake Arrieta take the mound – she didn’t care much about that (lol), but he’s a fantasy favorite of mine. As we rode the train back downtown and talked about taking a quick rest before going to dinner at Ditka’s, she told me that she was having the time of her life. There’s nothing more important than my kids and this almost brought me to tears in the middle of a packed train car filled with baseball fans. Wonderful to spend this time with her. 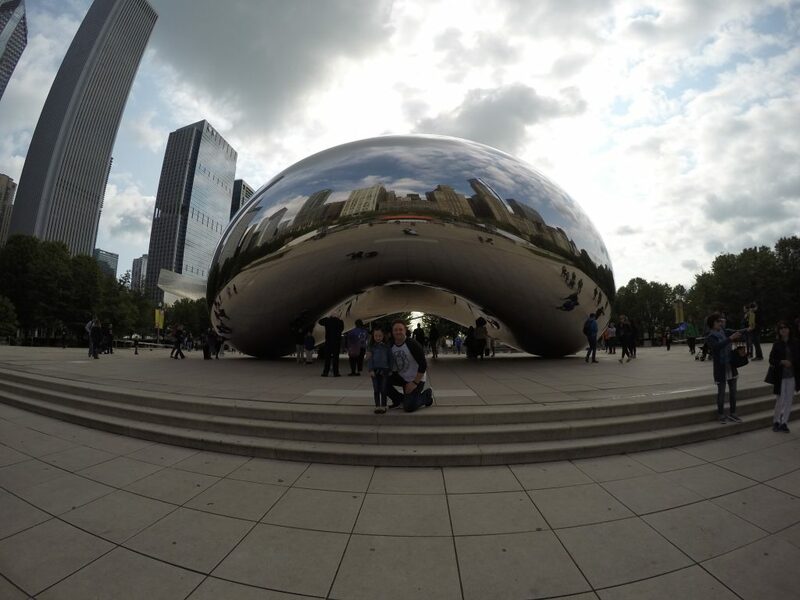 That night, we packed up our bags, preparing to catch a cab to O’Hare and talked about the possibility of getting up early and seeing ‘The Bean’, which I had showed her on my phone when we landed in Chicago. I made a promise that we would do it – and stuck to it. The video that will follow this post in a few weeks will show our amazing journey through the city, but for now….this picture. There aren’t many words that can sum up my time bonding with my daughter. Love, happiness and a better connection with who she is and wants to be in this life. This girl is the best. That Sunday morning, flying away from Chicago was bittersweet, yet touching in so many ways. High above the windy city. I hope that I get to spend more moments like this with my daughter as she gets older. I’ve heard about the inevitable, but I hope that she doesn’t grow tired of me, remembers the moments we’ve spent together and cherishes them when I’m gone. 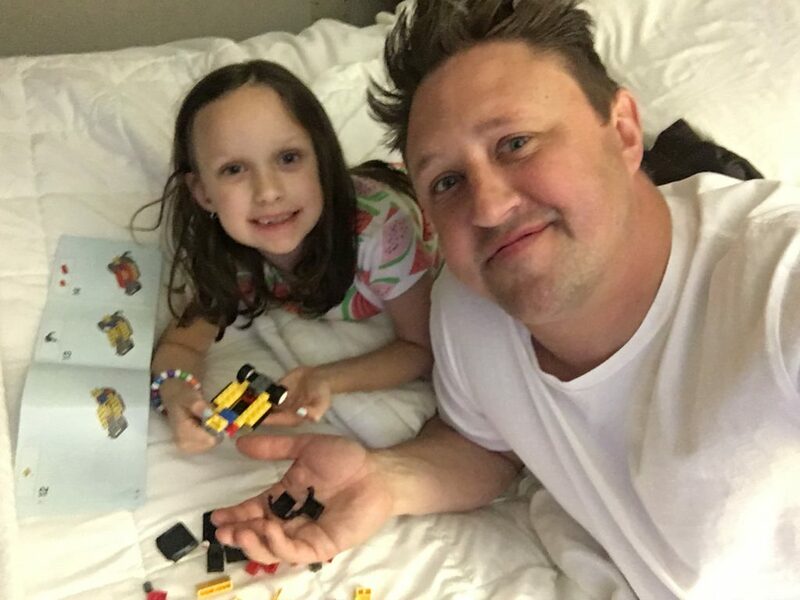 EDITOR’S NOTE: This is a sponsored post on behalf of Homewood Suites by Hilton and their #TravelMANager #DadTime campaign. The experience and story are all mine and I cherish the moment. Learn more about us on at www.mencanplantravel.com! « The Silent Sting of Summer. Sounds like a great trip. A hotel room with a kitchen is a must when you have kids. 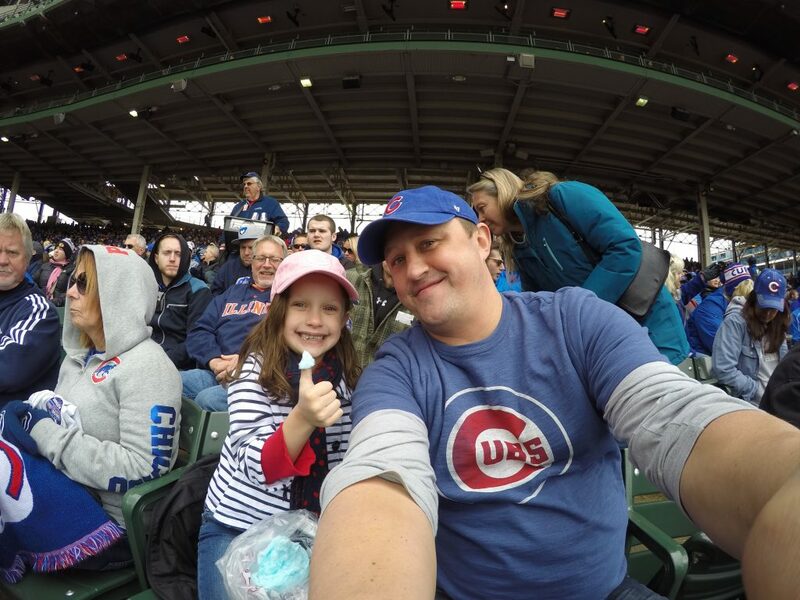 I’d love to take my kids (or just one – ha) to Chicago, take in some sights and a game. Wow. It’s a wonderful trip indeed. ………….. like Monica answered I am alarmed that a mother can make $6074 in one month on the computer…………..
like Joyce explained I am stunned that someone able to get paid $9755 in four weeks on the computer.